You probably don't realize that your supermarket is filled with foods that have a military origin: canned goods, packaged deli meats, TV dinners, cling wrap, energy bars . . . the list is almost endless. In fact, there's a watered-down combat ration lurking in practically every bag, box, can, bottle, jar, and carton Americans buy. 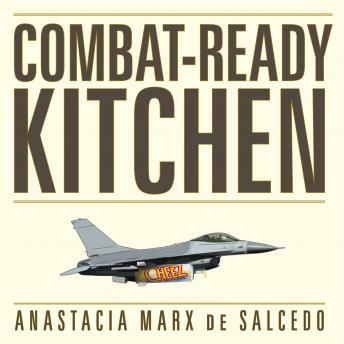 Anastacia Marx de Salcedo shows how the Department of Defense Combat Feeding Directorate plans, funds, and spreads the food science that enables it to produce cheap, imperishable rations. It works with an immense network of university, government, and industry collaborators such as ADM, ConAgra, General Mills, Hershey, Hormel, Mars, Nabisco, Reynolds, Smithfield, Swift, Tyson and Unilever. It's a good deal for both sides: the conglomerates get exclusive patents or a headstart on the next breakthrough technology; the Army ensures that it has commercial suppliers if it ever needs to manufacture millions of rations. And for us consumers, who eat this food originally designed for soldiers on the battlefield? We're the guinea pigs in a giant public health experiment, one in which science and technology, at the beck of the military, have taken over our kitchens.